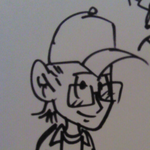 I know there are quite a few of us that enjoy art outside of the comics medium. I thought it would be interesting to have a place to read about and discuss our favorite artists and their work. This can include (but is not limited to) paintings, sculptures, architecture, lithography, special effects makeups, photography, graffiti, museums, et cetera. As long as it's not comic related post it here. 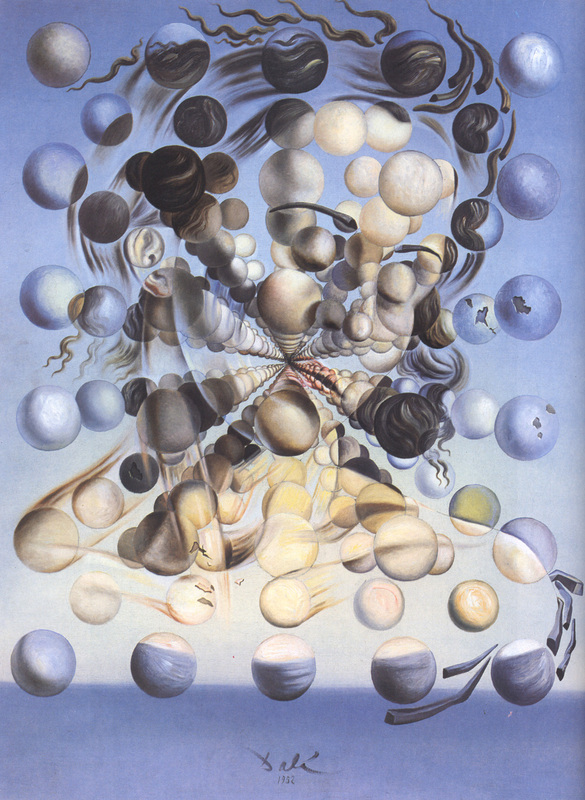 I'm a huge fan of the work of Salvador Dalí. One of my favorite paintings of his is this portrait of his wife Gala made almost entirely of spheres aptly named "Galatea of the Spheres". 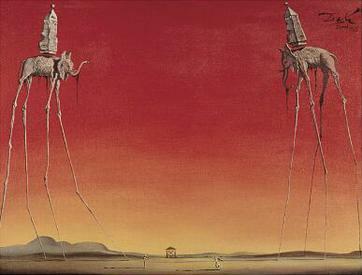 I've always enjoyed Dali's Elephant paintings. 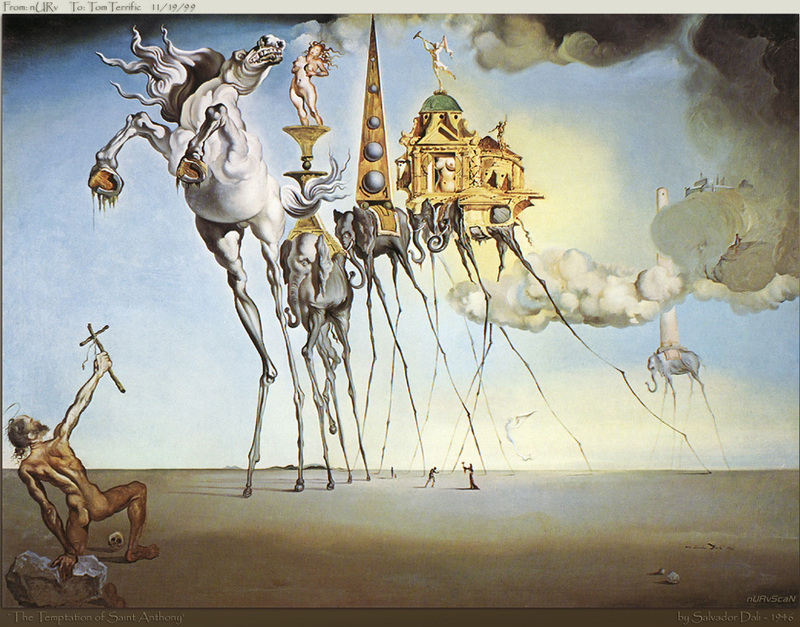 I am a huge fan of Dali's work as well. I managed to check out the travelling Dali exhibit a decade and a half or so back when it was at the Wadsworth Antheneum in Hartford, before I relocated to Ohio. It was amazing to see so much of it in one place. Most of my other museum trips are for far more ancient art, Meso-American in particular, Egyptian certainly, but most anything from pre-modern times enthralls me. Same with a lot of the Renaissance masters. For more modern stuff, I enjoy a number of fantasy and pulp illustrators (Frazetta's non-comic stuff certainly, but Michael Whelan, Larry Elmore, Clyde Caldwell, Erol Otus, etc.) and often check out the Spectrum volumes from the library to see what is new and interesting in the realms of fantasy art. I also have a thing for classic album cover art, from rock to jazz and blues. One of thebest things about the old lp format was the larger size the cover art came in. CD packages are just to small to marvel at the art. But I have spent time exploring the MOMA and Met in NYC, the MFA in Boston, several smaller museums in New Haven and the Dayton area, and a ton of galleries on Newbury Street in Boston back in the late 80s when I was taking an Art since 1945 class as an undergrad. When I spent some time down in Sate Fe circa 2000-2001, I discovered some amazing stuff there, from Spanish era architecture to Anasazi influenced native art, to Mexican flavored Day of the Dead street art. You can't escape Georgia O'Keefe's stuff while there either. I wandered the street for a day or two with a camera and sketch book just soaking it all in. My tastes in non-comic art are eclectic to say the least, they range all over the place from antiquity to contemporary and things from everywhere in between. 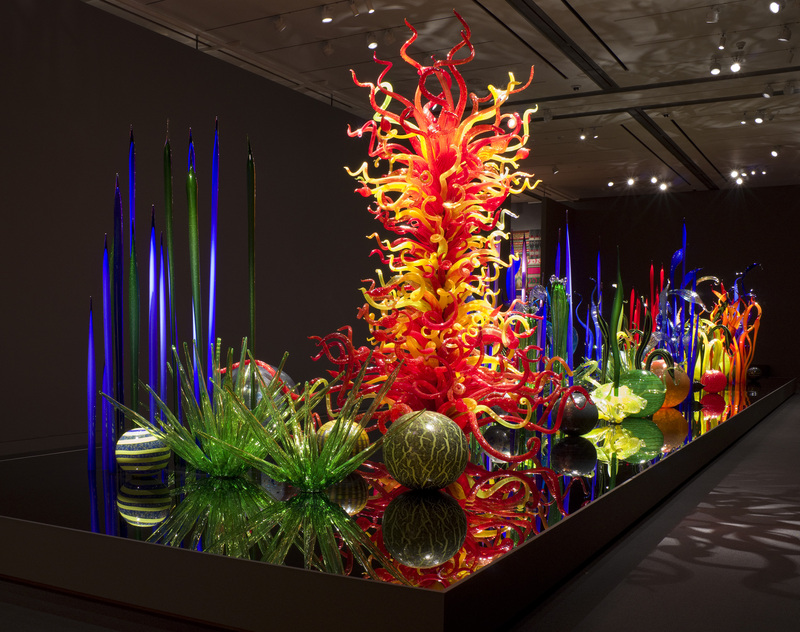 The MFA in Boston is one of my favorite places to visit, I probably go at least two or three times a year. 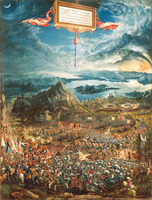 I have always had great affection for Altdorfer's Battle of Alexander at Issus. (Here's a big version of it). Even discounting the gazillion characters in the piece, the geography at the back is fascinating. The perspective is impossibly skewed to include the Mediterranean, Cyprus, Europe on the right and Africa on the left… with the sun and moon for good measure! That's a painting in which one can drown. I also have a thing for classic album cover art, from rock to jazz and blues. One of thebest things about the old lp format was the larger size the cover art came in. CD packages are just to small to marvel at the art. Album art really is an underrated medium and includes some incredible artists ranging from H. R. Giger to Opie Ortiz. I always liked Vince Locke's Cannibal Corpse covers. 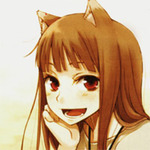 (They're a bit on the gory side so I won't post any here though.) Similarly Robert Williams' original cover for Guns N' Roses' Appetite for Destruction was changed and moved to the inside. 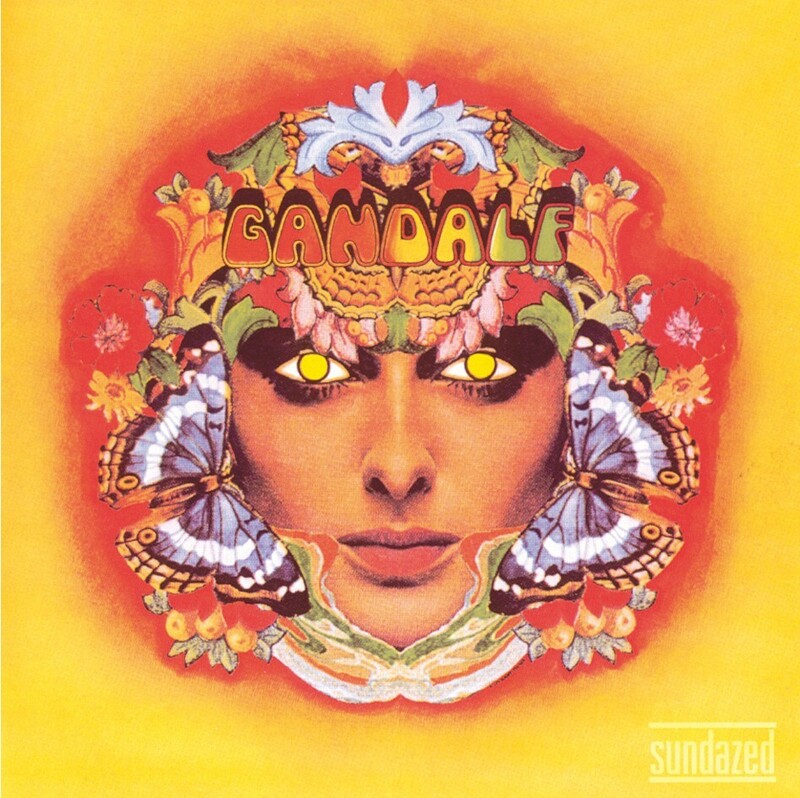 I've actually been trying to find out who the artist was that created the cover art for the self titled record by the '60s psychedelic rock band Galdalf. 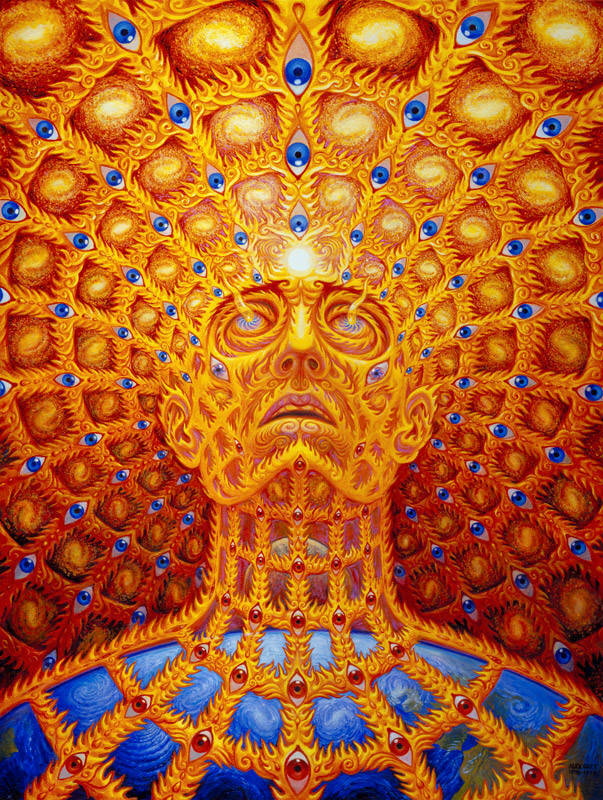 Which is a perfect segue to introduce the next artist I wanted to talk about Alex Grey. Music fans might recognize his work on such album covers as Tool's Lateralus and 10,000 Days among many others. I highly recommend checking out his book Transfigurations. The cover of which features my favorite piece of his titled "Oversoul". For more modern stuff, I enjoy a number of fantasy and pulp illustrators (Frazetta's non-comic stuff certainly, but Michael Whelan, Larry Elmore, Clyde Caldwell, Erol Otus, etc.) and often check out the Spectrum volumes from the library to see what is new and interesting in the realms of fantasy art. I love those Spectrum books! They are a great way to see a vast range of work...the diversity is astounding. 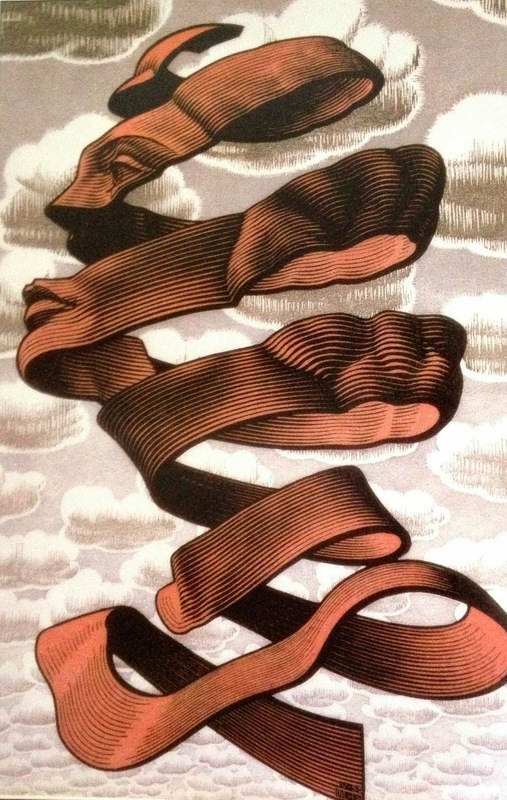 I have reproductions of these artwork done by M C Escher. I've always loved Black and White Artwork. Jesse412 Great Idea for a thread. I will be visiting this thread a lot and I do love artwork from all walks of life. Great taste, we have a coffe-table book of his work, just waiting to fry your braincells. I enjoy the weekly emails from Bud Plant for all the art and artists, familiar and unfamiliar. I actually used to own a couple of t-shirts with M.C. 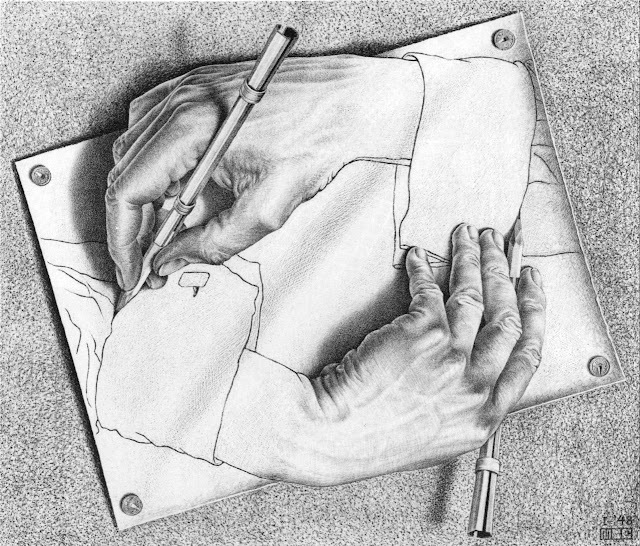 Escher designs on them (Reptiles, Ants, Relativity, and Hands). My favorite though is his piece "Rind" which I made an 11 x 17 print of and had it hanging on my wall for years. 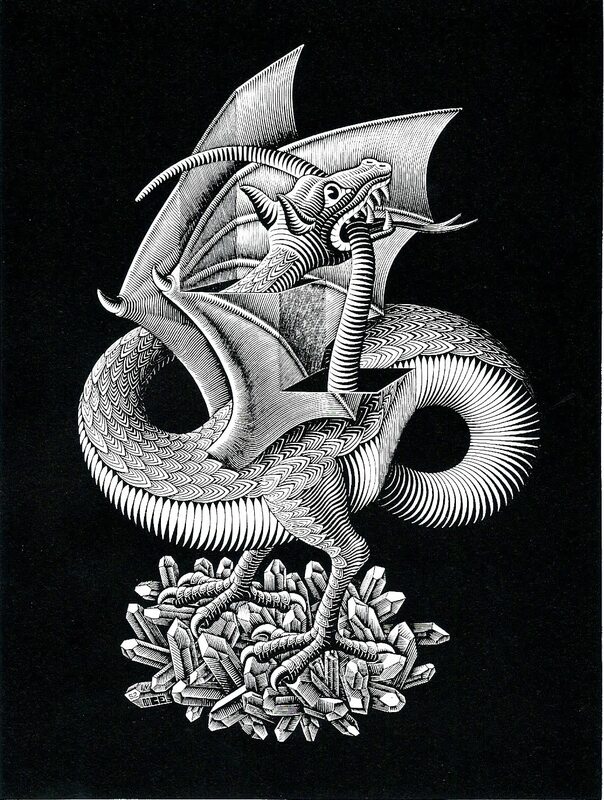 Another of my favorites of his work is "Dragon".